Gerhard Stryi-Hipp is a physicist and is working in the solar energy sector since 1992. Until 2008, he was managing director of the German Solar Industry Association BSW-Solar and its predecessors. In 2009 he moved to the Fraunhofer Institute for Solar Energy Systems ISE as Head of Energy Policy and Group Leader Solar Thermal Systems. Since 2011, he is coordinating the business area »Smart Energy Cities« at Fraunhofer ISE. With his Team hedevelops tools and concepts for the Transformation of today’s urban energy systems to sustainable and cost-efficient energy systems, e.g. the energy system Simulation program KomMod and methods for the development of road maps for the urban energy system transformation. 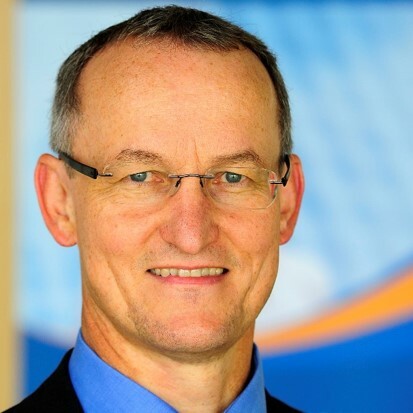 Gerhard Stryi-Hipp is president of the European Technology Platform on Renewable Heating and Cooling since 2009.